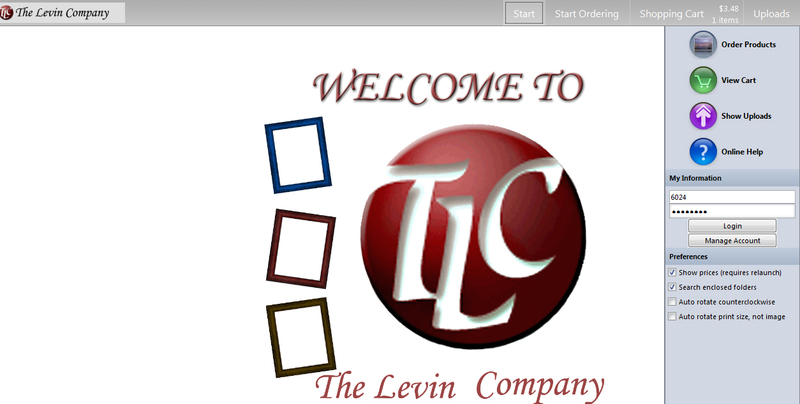 Here you will be able to download Levin Company printing software. There are many options to choose for printing. If you want to Print and Frame only click here. If you would like to view all printing options please follow directions below. 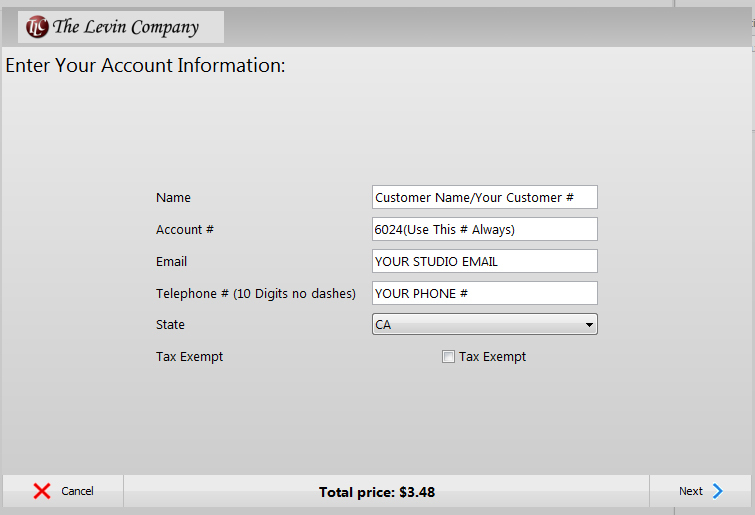 Must have a Levin Company account # to process your print orders. Call 1-800-345-4999 or email us at sales@levinframes.com for an account #. Step 1: Type "6024" Under "My Information"
Step 2: Create your own password. Account #: Will always be "6024"